Take 10 minutes to let go into this short trip. Just relax and let go. Do not think, feel. Shhh. Breathe. Relax. Only 10 minutes from your schedule. Or before you go to sleep perhaps. Wherever you can allow yourself 10 minutes to let go of your mind and be totally free inside the infinite space inside yourselves. Relax. Love to all. If you have not begun to practice daily meditation yet, what are you waiting for? Maybe you think it isn’t you, maybe you’re right. Go to another blog. You choose to be my audience and I encourage every human being to meditate. I’ll give a little rundown and update on my meditative practice. I am not a veteran by any means. The opposite really, but you find your higher self when you find your higher self, that is just how it is. I’ve known of it forever, everyone knows the word meditate. Do you really know and/or want to know more about what the word means? You ready to commit to a journey, a journey back to yourself. Anyone told you what meditation really does? I don’t know what it does for everyone, or what it will do for you, but I’ll tell you what has happened with me. First time, the flame and I, easy yogic breathing. We sort of just serendipitously started step by step from a beginning of sorts. So the breathing, felt good, gave me a headache at first, still does at times, but only at first. Focus on the breathing, actually picturing an image inside yourself of your breath. In and out, the inbreath and outbreath, those are good words. It is an aid, an unspoken guide. You learn to make an image inside of you, inside of yourself, not just in your head, but in all of you. Then you learn to give that image life. Think of it like this. You paint or draw your first picture. You are an infant, a newborn. You make scribbles and like colors, you know you love it, you want to create, but you can’t even talk about it yet because your a baby. You see where this analogy is going? The awakening process matures you much quicker, as far as time goes though. After a few meditations, you start to grow accustom to going to your canvas, your space of open possibility, your space all for you, inside of you. The distractions go away and you learn to quiet the scatterings of your mind, down to one, down to one, quiet, perfect blissful quiet. In that one voice is the true you, your higher self. Feels like you are going inward, diving inward, inside yourself. David Lynch makes some great commentary on the use of the term diving inward. That is what it is though, a freefalling into yourself, with only love as your guide. All ego, silenced. Negativity, doesn’t exist there. There is no fear, you are just you, one with your higher self and Source. You become director, actor, illustrator, master of all that is you, each experience opening up your space, more and more, each time, enhancing and developing your higher self. It is a healing, a cleansing, washing away that ego muck so you can see with your awakening eyes your true self as a light being. 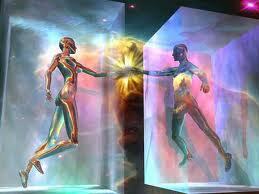 Time to get back to the real you, not this duality consciousness, 3d you. That you has learned to live from ego. That is not the real you. You are a solar being, a light being. Get back to the real you, the higher you. It is the greatest journey you can take. It is free for everyone and it’s right there inside all of you, just got to open your heart and know how to breathe. You can figure that out can’t you, why not take the next step? Learn about your chakras, learn about your energies. You have power, great power right inside you. Do not let it stagnate. Feel those colors and the senses and sensations that accompany each level. Embrace the warm divinity of perfect comfort when you finally free yourself from all distraction and negativity. You have stresses you don’t need, learn to let go, these things are menial. You have forgotten your true self, it is time to return. You are awakening, you are ascending, your vibration is rising, feel all that love, grow that love. Breathe. Feels good doesn’t it? You have an energy in all of you, meditate on that energy, nurture it, flow with it, flow with everything, you are one with all and One with Source, remember? I still have a story about a powerful experience I encountered during a recent meditation. When the time is right, I may share it. The canvas really comes to life when it does come to life. Love yourself, want to be your higher self, then be your higher self. Fall back on love, rely on love, let the unconditional gravity of your love be your guiding force as you wake up, we all wake up, to this great new time dawning on us. Sing that Age of Aquarius song in your head. Now think about how the hell they knew about the 5th dimension and the Age of Aquarius in 1966. Makes you think. Seems a lot of things we all should know, yet we all are just getting to know. 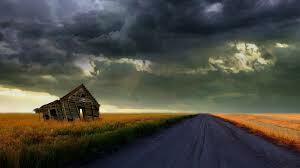 Nature of the road to truth, at least in this reality, but that’s another day. Discover your kundalini energy. Return to your higher self. Time is here and the time is now. Love to all. Hello all. Smile if your happy to be you. I really enjoy Sun-days. I really really enjoyed learning about the origins of all the day names. If you don’t know, learn something. You know what to do. Anyway, I have a really really good blog coming up. I had an amazing journey this morning that I must document for all of you because this journey can be made by everyone. It is a journey within you, a great journey, there inside all of you. What a great discovery. You will all get the full details soon but I have something important going on that requires my presence elsewhere today. It isn’t just a new day you see, it’s a new beginning, and an anniversary. Someone needs me and I need them. What felt lost has been rediscovered. Feeling good about feeling good. If any of you feel distant from someone close, reach out. There is only so much time left people. We can’t take these last moments for granted. Everyone just stop and love. Forgive and let go. Now is now, don’t worry about tomorrow or last Tuesday, focus on this moment now and what you love most. I need to go do that right now. Be good. love to all.